Temple University researchers’ tool requires further investigation, targets virus cells specifically. Temple University researchers have designed a technique to snip HIV-1 genes from human cells, potentially eliminating the virus from infected patients. Despite its promise, the tool is not yet ready for mainstream use, researchers said. The tool, which was described in a paper published on July 21, 2014, in the Proceedings of the National Academy of Sciences, involves a combination of a DNA-snipping enzyme and an RNA strand that targets the HIV-1 genome. Once found, the DNA-snipping enzyme excises the HIV-1 DNA. The combination did not cause genotoxicity in the host cells, while completely excising the virus fragments, the study abstract said. After removal of the HIV-1 DNA, the cell’s gene repair functions mend the snipped portions of the genome, which results in virus-free cells. The RNA strand that targets the HIV-1 appeared to prevent further HIV infection, the study abstract noted—suggesting that the compound can be engineered as both a therapy and a prophylactic. 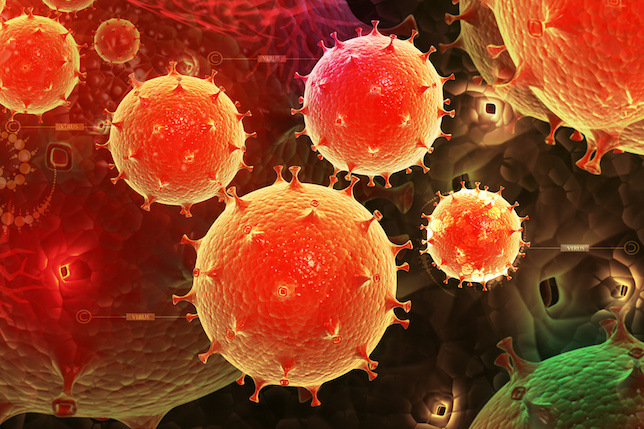 The process was successful in several types of cells, including microglia, macrophages, and T lymphocytes—the main cell types that tend to harbor HIV-1. The approach must surmount several challenges, however. First, researchers must develop a method of delivering a therapy to every infected cell. The treatment must also be tailored to each patient, to counter the virus’s ability to mutate. A bacterial defense mechanism meant to protect against infection provided the basis for the HIV-1 eradicating tool, and researchers engineered a 20-nucleotide strand of the targeting RNA. The RNA strand specifically looks for the long terminal repeat genes that are present at both ends of the HIV-1 genome. Researchers also selected nucleotide sequences that are not present in human DNA coding sequences, to avoid having the targeting RNA bind with patient genomes. The technique also has the potential for use against a variety of viruses, Dr. Khalili added.